Having multiple accounts on desktops and tablets seems like common sense. After all, we don't need nosey roommates or tablet-savvy children who sometimes act like nosey roommates interfering with our sacred apps and digital configurations. 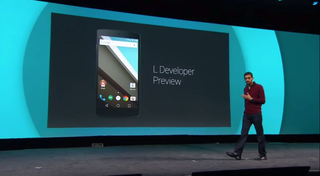 With Android L, it looks like Google is extending the same logic to smartphones. In an official developer forum, one member posed the question of extending multiple accounts to smartphones as well as restrictions on accounts designated for children. You know, to avoid those in-app purchase nightmares that run rampant across all mobile OSes. A Google project member answered simply enough, saying, "the development team has implemented this feature and it will be available as a part of the next public build."